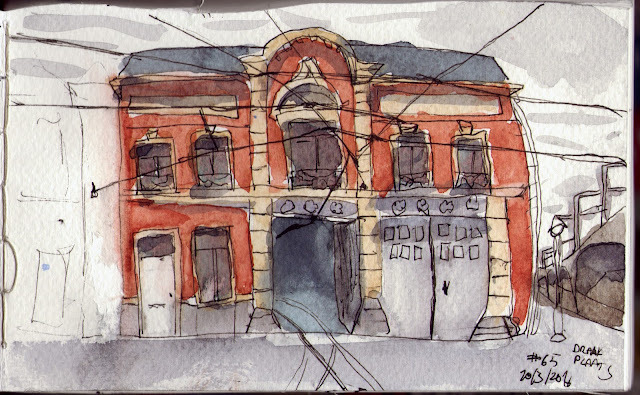 Dries Moonen: The old tram station. This building was used to store the trams after their shift was done. Now it's mostly used for doing repairs on them. Was a great sketch. Get a mail when I post! No images created by Dries Moonen in this blog may be reproduced for publication or mass distribution without written consent by Dries. Send me an email if you wish to use any images here. Catching up and a new sketchbook! Rainy day and a new brush.